BE the Change! -Youth Leadership and Action Day! The voices, ideas and actions of youth are often overlooked by adults. 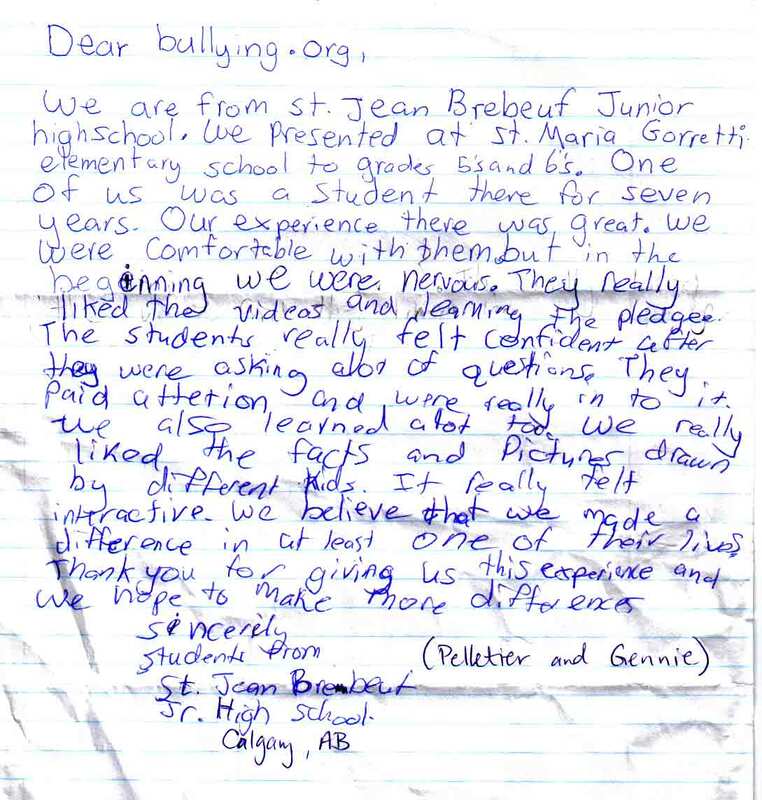 How can youth show leadership in their families, schools and communities to address bullying? Listen to the song, Black and Purple by Brea and Braden, two very talented young people from Ottawa, Ontario Canada. Read their lyrics here. 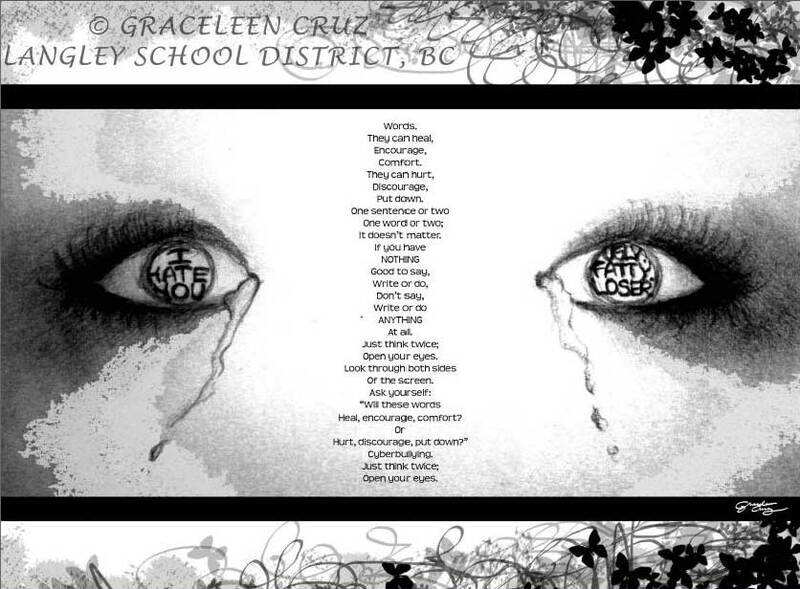 Download their song and play it on your school's P.A. system at the end of morning announcements today. Print out their lyrics and pass them out in classes before the announcements. Discuss this song and its meaning. What do the students in your school think that Brea and Braden are trying to say? Can you relate to their message? What would you write if you could? Why not write, act and film your own video about bullying? 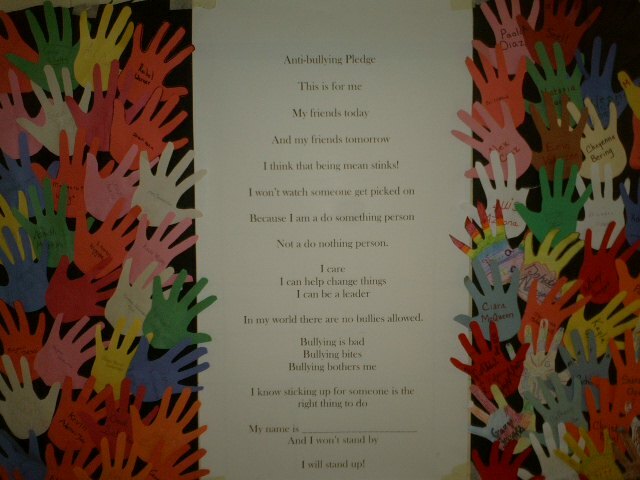 Post your own song, poem, story, drawing or video in the "I Want to Share -Your Voices" section of the www.bullying.org Web site. Reply to the submissions of other young people from around the world. See the "Peer Power" section of the "Resources" page to learn about one powerful example of how youth can show leadership. 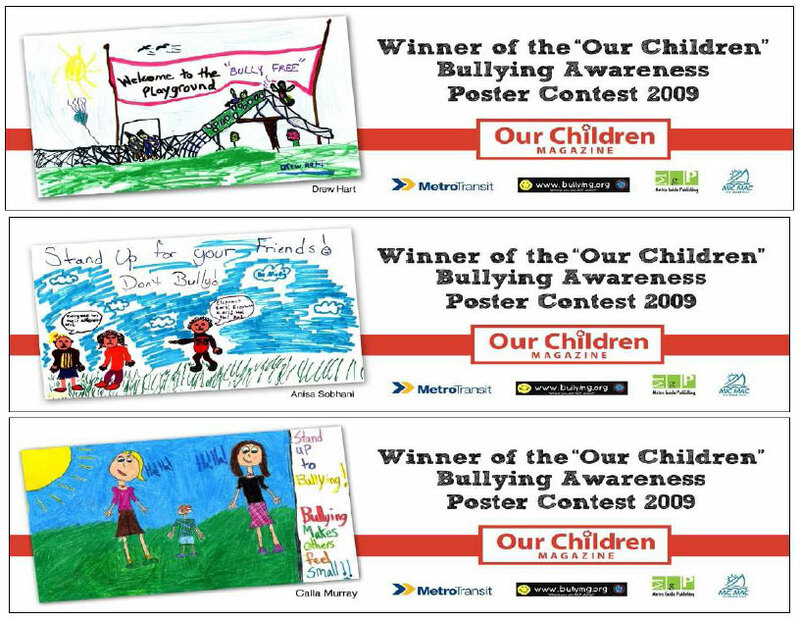 Create anti-bullying posters and place them around your school and in your community. Look at these wonderful posters created by youth in Halifax, Nova Scotia. The posters were placed on City of Halifax buses. 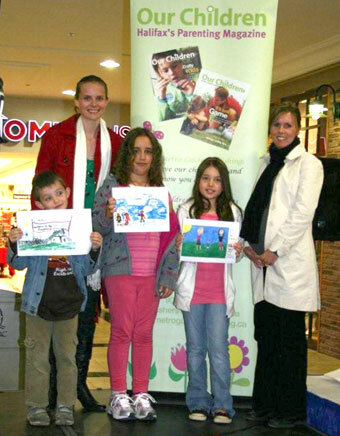 This was a partnership between Our Children Magazine and Bullying.org. Congratulations Drew, Anisa and Calla ! Have older students (13-18 years) make presentations to local elemenatary school students (8-12 years). See Peer Power program description, adult coordinator agreement and the Peer Power Presenters evaluation form. Celebrate the day's learning with the sharing of creative contributions from school and community participants. Honour a student, or local young person who is helping to make a difference for others in your school or community. See Caring Kids Awards as an example. Well I wish you could have seen our group present!! They were AWESOME!! The material used was so appropriate for the age group that we feel we had the correct mix for all who attended. We presented in 6 of our local elementary schools; St. Patrick Catholic School, Kingston, St. Martha's Catholic School, Kingston, John XXIII Catholic School, Kingston, Holy Family Catholic School, Kingston, Our Lady of Lourdes Catholic School, Kingston and St. Pat's Catholic School in Harrowsmith. We were well received in all schools, and enjoyed presenting. The 6 members of our team, Mike, Simon, Kayla, Emily, Chantelle and Nick did an amazing job. We asked for a few donations and received t-shirts from EVAC, (Ending Violence Against Children), and gift certificates from our local McDonalds and Tim Horton's. We also received 2 cases of water from our local No Frills "Gord and Kim's". We hope to soon have some pictures posted soon. Thank you again for all your time and efforts in this amazing challenge. WE SUCCEEDED!